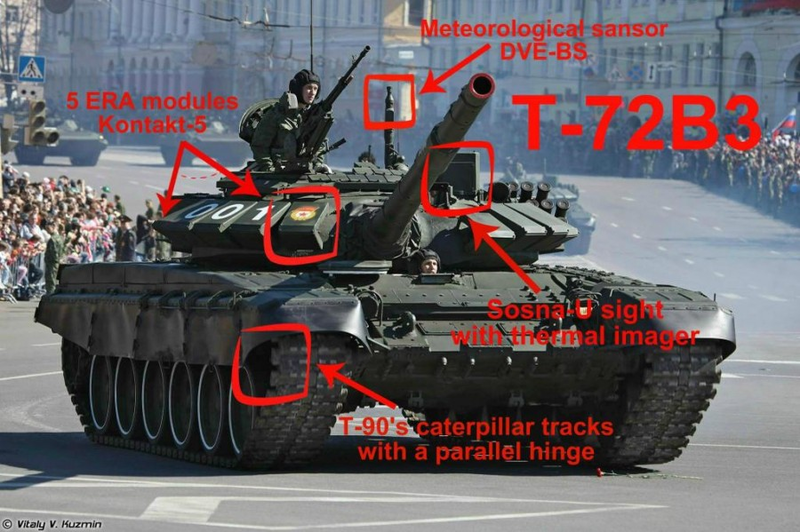 I got lost in the Ts the Bs and the numbers of Russian tanks in Ukraine and how to distinguish every variant. Peter Johnson @Alcebaid was very helpful, gave me some tips and then made this guide which I edited a little bit for even easier reading. 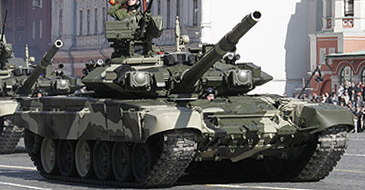 There are four main battle tanks: T-64, T-72, T-80 and T-90. 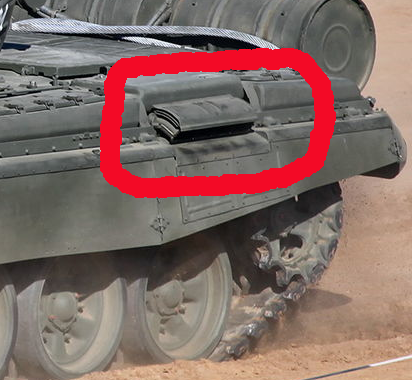 T-64 exhaust is at the back of the tank (sometimes they attach a log there). 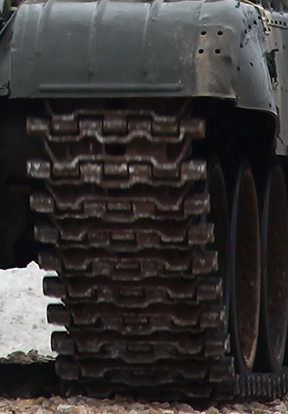 T-72 has its exhaust at the left side. 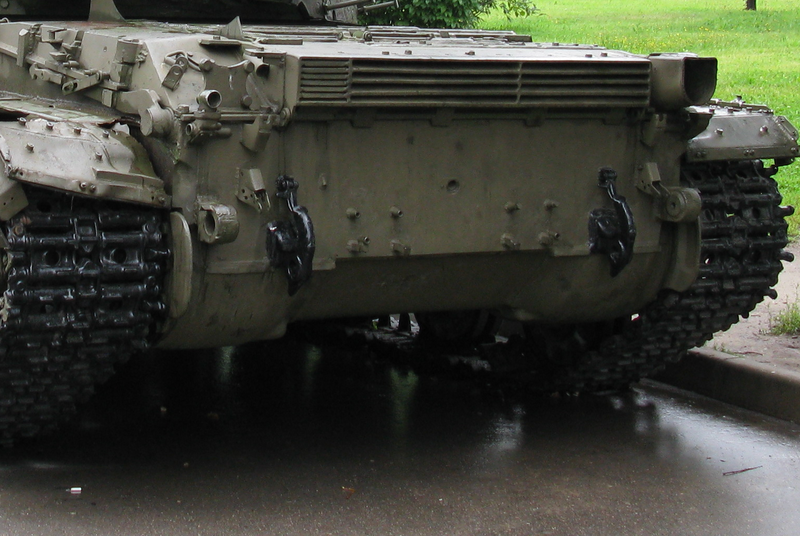 Older T-64 had an infrared light on the left side of the turret. 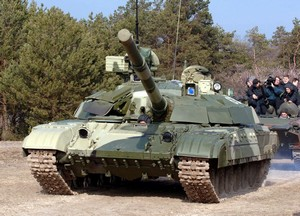 T-72 on the right side. 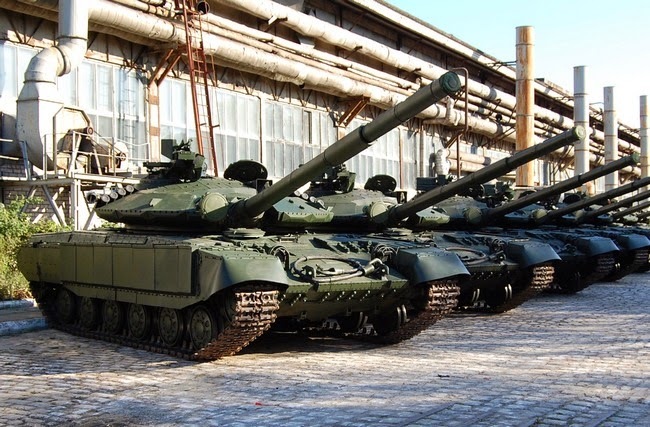 T-64 has one long box for spare parts and instruments. 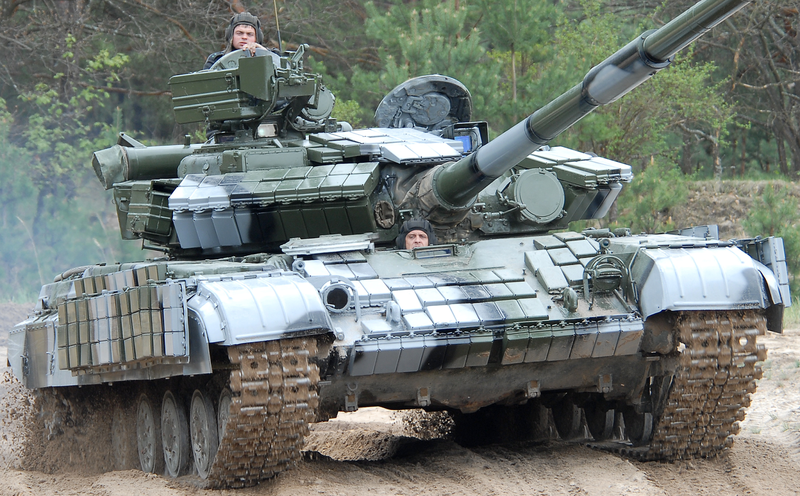 T-72 had three, left, right and behind. 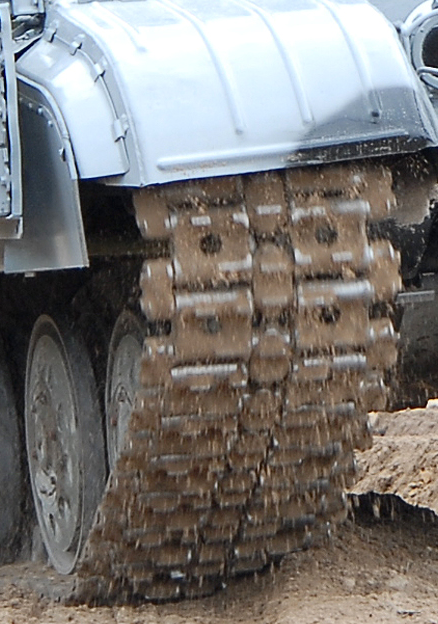 Deep T-64 upgrade. IR lamp removed. "Nizh" (knife) ERA. 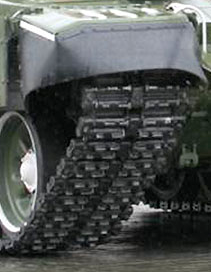 Rubber sheets attached to turret. Since september 2014. "Kontakt"-like ERA. Bulat-like signs. Old tracks, "Kontakt-1" ERA, IR-lamp on right. 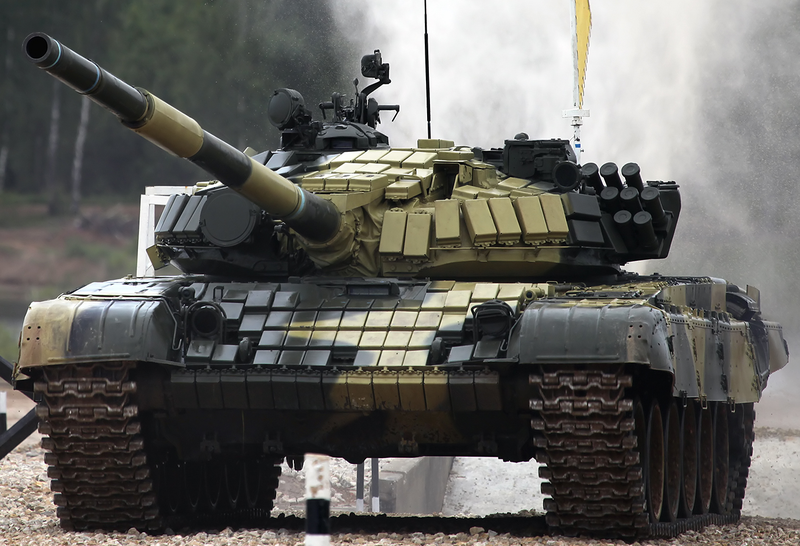 Deep upgrade of the T-72Б. "Shtora-1 lamps on both sides. 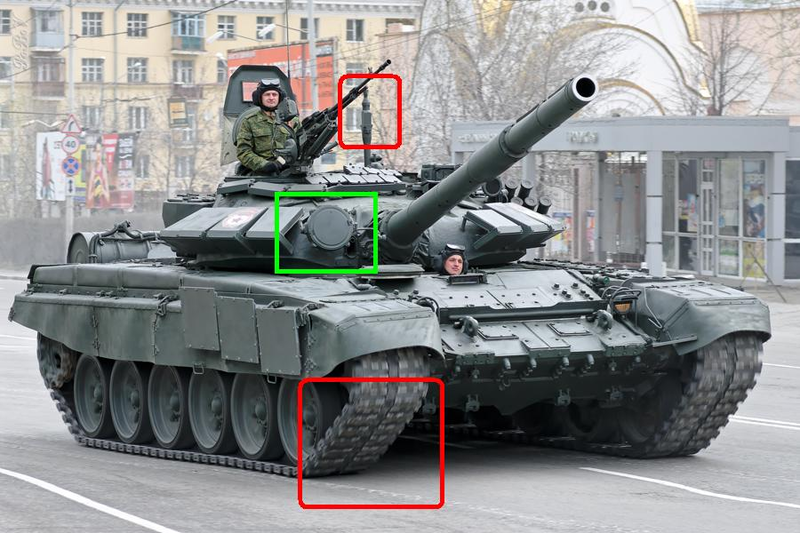 Another handy guide is: How to identify Russian units in Ukraine.